Now I have to be honest with this post. I started thinking about it today, as it is the never ending cycle of domestic purgatory that exists in my world. Dirty dishes, laundry, hoovering, floor washing, bedding to be stripped and remade, dusting, animal walking, and lots, lots more. I really really detest housework (WITH A PASSION). Did you get that, or do I have to repeat it. With that in mind, I decided to try and work out which of those chores are my most dreaded. What brought on this post of major grumpiness, I hear you wonder. Well, if you really must know, the sun is shining. 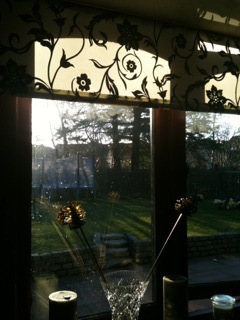 It’s a nice afternoon, and with the sun streaming in through the windows, it should put me into a good mood – right. Did I tell you that my house has 27 windows, 28 if you include the garage. I stopped smiling at the sun coming out a long time ago. Why on earth we bought a house with so much wall space as windows is anyone’s guess. Well, it did look pretty, on a dull winters day when we first bought it. I had no idea, that I would be letting myself in for window torture. I don’t think this picture gives you the best indication of what happens when the sun shines on all these horrendous pieces of clear glass. At best it looks manky, at worst, it looks positively slovenly. Oh, yes, and we do have three rooms that have glass panels as well. It just never ends. If anyone has a tried and tested method of keeping windows streak and grime free, I am all ears. I’ve heard of stuff you can put on the windows, but I don’t know what it is, or how good it is. Start now and teach your kids to clean. The earlier you start, the more you can make them think it is a privilege to be allowed to clean. LOL-my lo begs to help me. My older ones have gotten wise, but they still have no choice and they clean. They have some chores which are done reluctantly. Not enough to make a difference to what needs done in a day. Sadly autistic spectrum disorders makes help from them difficult to achieve. I live in constant hope though lol. Well done you for getting your kids to help you clean. That must be a huge help. UGH mopping. I can’t be bothered with it, and my entire downstairs is laminate flooring. And laundry. It just never bloody ends! There’s always something needing washed, hung AND put away at the same time. Can I just have a cleaner please?? Oooh a cleaner would be the ultimate luxury. I used to have one in the days I worked in the oil industry, but I used to clean up for her coming !!!!! Can’t afford it now, sadly. Laundry is another pet misery, but not as bad as my windows lol. 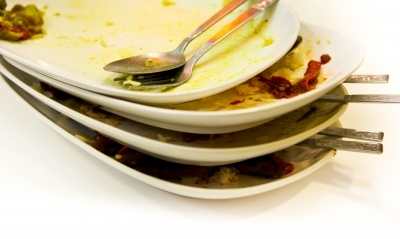 I hate washing up with a vengeance and tidying up for it be just as bad 5 minutes after the kids have come home. It’s amazing how quickly the kids can destroy the work of a full day cleaning. Sooo fast at doing it. They must teach them destruction as a subject at school. I feel your pain, I really do. My only suggestion is to shut the curtains and/or change down to a dimmer lightbulb.